A belated reblogging for February’s GG… Always a pleasure contributing. Head over to MovieRob’s awesome blog for more great reviews! Thanks again to Dan of Slipthrough Movies for choosing this month’s genre. Next month’s Genre has been chosen by Drew of Drew’s Movie Reviews. We will be reviewing our favorite Heist Movies. Please get me your submissions by the 25th of March by sending them to drewsheist@movierob.net Try to think out of the box! Great choice Drew! An undercover cop and a mole in the police attempt to identify each other while infiltrating an Irish gang in South Boston (via IMdb). First off thanks to Dan of Slip/Through Movies for picking the genre and getting me to finally watch this movie, and of course to MovieRob for making this awesome GG happen. Next Post Goodbye, Sweet Prince! Great review as always. 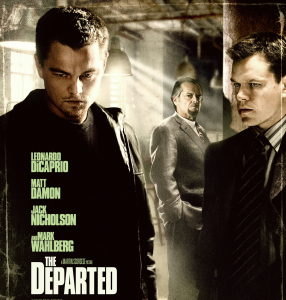 The Departed is probably my favourite Scorsese since Goodfellas, and well worth it’s place in his canon. Thank you, Paul! Really liked this one. Such an amazing ensemble of cast and Scorsese rocks the plot, as always. 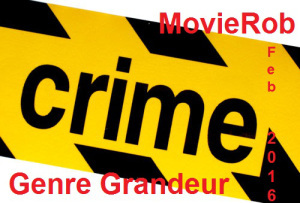 You should join Genre Grandeur. You’ll have fun! I might join in the next one! Awesome comment!!! Thank you, Sweetie!! Glad you liked it! I’m pretty well… can’t complain 😊 how are things with you, sweets? Tnx for taking part as always Reut!